We live at Lemur Landings on Tower Park, just a short swing from Poole and Bournemouth. Lemur Landings is one of Dorset’s largest indoor soft play and themed party centres and I can’t wait for you to come and play here.  There are exciting times ahead at Lemur Landings, we are having some great new features me and you to play on and with – I can’t wait! Want to know about what’s in happening have a little read of Lew’s News. We lemurs do love to party, and I’m no exception, we have lots of kid’s party celebrations here and I just can’t resist popping along whenever I can to wish you a totally brilliant birthday party with your friends and family. We are still open for phone calls this week, so give us a call if you want to book a party.